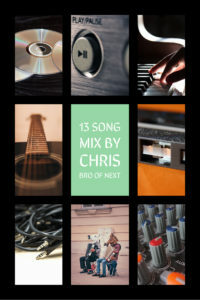 Time for another 13 songs random song mix. As per usual, songs may change spots or places or get taken out after I listen a few times. Enjoy. Run DMC. They love Adidas. I love Adidas. So I guess you had me at Adidas. When rap wasn’t all about the cash money and bottle service and etc. Could be my favorite Oasis song. Great “mellow” guitar too. It almost “Slides”. BT one of the best live artists I’ve ever seen. Sadly, they have broken up but holy balls what a brilliant group of musicians. Plus great human beings. Making Chicago proud. Again the lyrics. Love the use of “Walk On The Wild Side”. So bloody cool. The label didn’t asked for permission and Lou was pissed. As one should be. So they finally settled and Lou got all the money. Publishing and royalties. This was the song that kicked in the door for ATCQ. Damn cool tune. So every time I play this tune Lou gets the money. Well, Lou’s estate. Since we are mellow. Lyrics. Just brilliant. Hey, could you stand another drink? I say I don’t really know someone until I share a beer or 3 with someone. This song makes me smile. Love the humor. Horns = good. I also like the juxtapostion of talk/sing within the tune. Just works. Plus, Mr Lovett is a true gentleman. I had the pleasure of meeting him once. I could have chatted with him for hours. Luckily, I didn’t impose myself on him. So maybe he thinks semi-nicely of me. I know he is a big fan of Kate’s. Any big fan of Kate’s is a big of mine. Let’s build the noise level up now, eh? If the road to hell is paved with good intentions does that mean the road to heaven is paved with what? Never mind. Just enjoy the tune. Unless you are still having that beer with me we started during “Proof” then we should chat. The build leads us here…BOOM. Goodbye. But first…Hey Ladies…Plus. Cow bell.